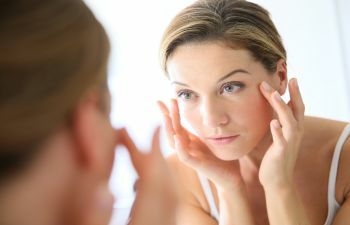 When it comes to a facelift, what you do to prepare for it, is almost as important as your recovery. There are certain steps you can take in the weeks leading up to your surgery which can make a big difference in the end. Let your supervisor know that you’ll need to schedule some time off from work. Most people will stay home from one to two weeks. This is enough time to allow the swelling and bruising to subside. Stop taking NSAIDs (non-steroidal anti-inflammatory drugs) like aspirin or ibuprofen. These medications can cause extra bleeding during and after your procedure. You’ll need someone to drive you on day of surgery and stay with you for at least 24 hours after the procedure – so go ahead and speak with your loved and set up a caretaker. This also includes making sure that your children will be looked after. If you regularly dye your hair, you’ll want to do this leading up to your surgery because you’ll be instructed not to do so for around 4 – 6 weeks after the procedure. Clean your house and stock the fridge with easy to cook meals and healthy snacks. Also, go ahead and take care of any odds and ends such as bills that will need to be paid during your recovery time. For a great looking facelift, see our expert Atlanta team at Kalos Facial Plastic Surgery for a consultation.